Boy Scouting was founded in England in 1907 by Robert Baden-Powell and quickly came over to the States in the 1910 after William D. Boyce encountered Boy Scouting in England and brought it back to the United States. 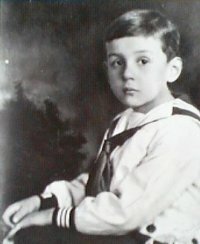 He introduced the concept of the Boy Scouts of America to local businessmen and leaders. When Boy Scouting started in Maine is not clear, but our earliest photographs show Scout encampments in Saco and Brunswick areas in 1917 and a few units that were originally chartered in 1910. Boy Scouting started early in Maine, with two local councils in operation by February 1915. The first second class council was in operation by 1916, and by 1917 three second class councils existed, in Auburn, Bath and Saco. South Portland Council began in 1918, as did Waterville Council, but that council apparently only existed for a year. Bangor, Old Town and Portland Councils were begun in 1919 in those localities, while in that same year Auburn, Bath and Saco's councils all ceased to exist. Old Town's council ceased to exist in 1920, while Oxford County Council was formed, with its headquarters in South Paris, Maine. In 1921, South Portland Council ceased to exist, while a new one--Biddeford & Saco Council--blossomed once again in Saco. Bangor Council opened Camp Roosevelt, believed to be the first council camp in Maine, the same year. Portland Council changed its name to Cumberland County Council in 1922, no doubt reflecting its expansion beyond the city of Portland (Portland Council had probably absorbed South Portland Council's troops upon its demise the previous year). No organizational changes appear to have occurred in 1923, but big changes would occur the next year. In 1924, the leaders of Bangor Council took a step similar to that taken by Portland Council in 1922; they changed the council's name to one more reflective of the region served--Penobscot Council--with the change effective at the New Year. Meanwhile, Scouting in the Saco area again took a down turn, with Biddeford & Saco Council ceasing to exist. Oxford County Council also ceased to exist in 1924. In September 1925 organizers formed a council headquartered in Rockland--Pine Tree Council. Camden was added to this council in 1928, but then Pine Tree Council was absorbed into Cumberland County Council in 1929. The latter council had been growing quite nicely already, as it had added eight towns in Oxford County in May 1929. Also added in 1929 were units in Sagadahoc, Franklin, and Kennebec Counties, as well as those in parts of Knox, Lincoln, and Somerset Counties. Five more towns in Knox County were added in 1930. Organizers in Saco tried again in 1927, forming York County Council, which also included units in Biddeford and North Berwick. Units in Somersworth, New Hampshire joined York County Council in 1929, but that town moved to New Hampshire's Daniel Webster Council in 1932. In 1929, Penobscot Council changed its name to Katahdin Area Council, possibly reflecting its growth to encompass all of the northern part of Maine. 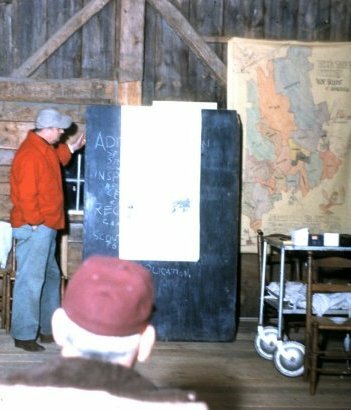 Although there are references to the council being named "Katahdin Council" on Camp Roosevelt patches, it is generally believed that "Area" has been a part of the council name since its inception. After two decades of growth and consolidation, by the BSA's twentieth anniversary in early 1930, there were just three councils in Maine--Katahdin Area Council, headquartered in Bangor; Cumberland County Council, headquartered in Portland; and York County Council, headquartered in Saco. The 1930s would see the final changes in council organization: at the end of 1932 Cumberland County Council changed its name to Pine Tree Council; and in 1935 York County Council merged into Pine Tree Council. That merger left Maine with the two councils present there today--Katahdin Area Council in Bangor and Pine Tree Council in Portland. Our council was organized in 1919, and at that time was known as the Portland Council, as it only included the city of Portland. Mr. Whitman Smith was the first Scout Executive, and during his term from 1919 until 1926, the balance of Cumberland County was added and the name changed to Cumberland County Council. The council was incorporated in 1927, and the land purchase of Camp William Hinds was made to honor the late son of Charles Hinds, who was on the Board of Trustees. 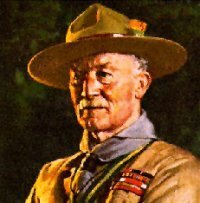 Mr. Herbert "Skipper" Patrick, for whom Patrick campsite is named, became the second Scout Executive in 1927 and kept this position until 1943. During this time, there were three other councils in Maine: the Katahdin Area Council in Bangor, the Pine Tree Council in Rockland and the York County Council in the Biddeford-Saco area. This arrangement of councils left a large area of Maine with no organized Scouting. Smaller councils grew in Lewiston-Auburn and Oxford and Franklin counties. Major gifts of properties for the camping programs were added along the way, with Camp Nutter in 1930, Camp Bomazeen in 1944 and Camp Gustin in 1948. The Berry Farm, adjacent to Camp Hinds, was purchased in 1947 and was remodeled to become the Rotary Training Center. In 1933, the councils in southern and central Maine merged to formally become the Pine Tree Council, and in 1936 the York County Council gave up their charter and joined Pine Tree Council. Early growth records show a youth membership of over 3,200 Scouts in 1933, over 6,000 in 1948 and doubling to over 12,000 members in 1958. 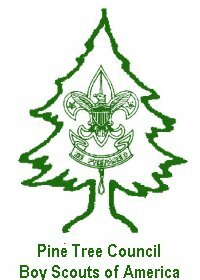 The Council Service Center on Auburn Street in Portland was erected in 1959 to become the official headquarters of the Pine Tree Council and was dedicated as the Niss Service Center in the 1960s to honor the support to Scouting from Bill Niss. During the past 90-plus years of Scouting, our council has seen the addition and deletion of many districts. Some of the early districts included York District, which was named for the York County Council, the Mount Zircon District in the Rumford area, the Abnaki District, the Sebago District, the Quabacook District and the Snowshoe District. The Pine Tree Council currently has five districts: Abnaki, Casco Bay, Downeast, Kennebec Valley, and York, and we serve youth in 10 counties in Maine. Our program has grown to over 24,000 youth and adult members and serves youth in traditional programs such as Cub Scouting and Boy Scouting, but also offers Scoutreach, Sea Scouting, Venturing, Learning for Life school-based programs and Exploring. 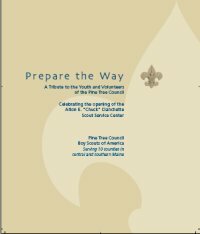 The booklet "Prepare the Way" which was prepared for the dedication of the Alton E. "Chuck" Cianchette Scout Service Center containsadditional information. Visit the official Pine Tree Council Website. In November of 1929 Cumberland County Council which then included troops from Cumberland and Sagadahoc counties added these six counties: Oxford, Franklin, Somerset, Androscoggin, Kennebec, and Lincoln. By November 1930 Cumberland County Council included troops from these nine counties: Cumberland, Sagadahoc, Oxford, Franklin, Somerset, Androscoggin, Kennebec, Lincoln, and Knox. Cumberland County Council included troops from these nine counties: Cumberland, Sagadahoc, Oxford, Franklin, Somerset, Androscoggin, Kennebec, Lincoln, and Knox. District One, Portland -- Douglas K. Hammett, District Commissioner. Troops 5, 6, 8, 12, 16, 18, 20, 63. District Two, Portland -- Frank Bailey, District Commissioner. Troops 3, 7, 11, 14, 15, 17, 62, 65. District Three, Portland -- Whitman E. Smith, District Commissioner. Troops 2, 9, 64, 69. District Four, Portland -- Leslie E. Hassell, Assistant District Commissioner. Troops 1, 4, 10, 61, 66. District Five, Westbrook, Gorham, South Gorham, South Windham, Windham, Hollis Center, Buxton, Bar Mills, Standish, Sebago Lake Regional Parish -- Harry L. Pride, Commissioner. District Six, South Portland, Cape Elizabeth, Scarborough -- Rev. Henry G. Clark, Commissioner. District Seven, Brunswick, Bailey's Island, Bath, Woolwich, and Georgetown. District Eight, Pownal, Gray, North Yarmouth, New Gloucester -- Donald Whittemore, Commissioner. District Nine, Harrison, Bridgton, Naples, and Fryeburg -- George M Oberg, District Commissioner. District Ten, Chebeague Island, Yarmouth, Falmouth, West Falmouth, Freeport -- Donald Payson, District Commissioner. District Eleven, Lewiston, Auburn, Mechanic Falls, Sabattus, Lisbon, West Paris, Monmouth, Norway, South Paris, Bryant Pond, Locke's Mills --Roland C. Whitehouse, Commissioner. District Twelve, Wilton, Rumford, Livermore Falls, Buckfield, Farmington, Bethel, Mexico, Phillips -- Albert D. Norton, Field Executive. District Thirteen, Augusta, Gardiner, Wayne, Winthrop -- Theodore Lewin, District Commissioner. District Fourteen, Waterville, Skowhegan, Rockwood, Anson, Hartland, North Anson, Madison, Oakland, Benton, Clinton, Fairfie1d, Pittsfield, Bingham, Harmony -- Norman L. Mathews, District Commissioner. District Fifteen, Rockland, Camden, and aIl Troops in Lincoln County -- A. Kenneth McCartney, Field Scout Executive. York County Council merged with Pine Tree Council to bring the total number of counties served by Pine Tree Council to 10: Cumberland, Sagadahoc, Oxford, Franklin, Somerset, Androscoggin, Kennebec, Lincoln, Knox and York. The picture here was taken in the backroom of the Training Center prior to the renovations. The Training Center was purchased in 1947 and renovations started shortly thereafter. In the picture is a map of Pine Tree Council showing about 22 Districts. 6 - Quabacook (Augusta, Bath, Woolwich, Manchester) We have not been able to locate a map from this time period. Camp Bomazeen, located on Great Pond in North Belgrade, Maine, was opened in 1946. Summer Camp operations ceased after the 2003 summer season. Pine Tree Council is currently in a fund raising campaign to convert Camp Bomazeen into a Cub World-theme camp. Cub Day Camp for Kennebec Valley District was once again held at Camp Bomazeen starting in the 2007 and 2008 summer seasons. Camp Bomazeen is named for Chief Bomazeen of the Norridgewock tribe of the Abnaki nation. The Camp Bomazeen property was donated in 1944 by Dr. George G. & Francis M. Averill of Waterville. Located on Loon Pond, Sabattus, Maine, this council property is now used primarily for Abnaki District events. Camporees have been held at Camp Gustin since at least 1947. Camp William Hinds opened in 1927 as the summer camp for Cumberland County Council. The camp was named for the son of the businessman who donated the property to the council. The camp is located on 230 acres of land on Panther Pond in Raymond, Maine and is currently the only Boy Scout summer camp servicing Pine Tree Council. They provide a variety of merit badges including swimming, boating, canoeing, motor boating and water skiing. Hinds has 14 campsites along with three cabins that are facilitated year round. Summer camp programs include 6 Boy Scout weeks and 1 week of Webelos camping sessions. Camp William Nutter, located on Loon Pond in Acton, Maine, was originally the summer camp for York County Council. When that council merged into Pine Tree Council in 1935, it was initially not used as a summer camp; however, sometime after 1944 the council opened it as a summer camp. It operated as such into the 1950s. The earliest dated patch is 1949. The council still owns the property, but it is only used by the York District for weekend events & Cub Scout Day Camp. This camp was acquired in 2002 and ocupies 65 acres of land. It has a 1500 foot waterfront with a 100 foot sandy beach with a dock on Maranacook Lake. It offer swimming, a sports field, a large main lodge with a deck and covered pavilion, a crafts shop, an aquatics building, unit and family camping. The Kennebec Valley District held their Cub Scout Summer Day Camp and Boy Scout Junior Leader Training Program here. Camp K-V was returned to the YMCA.